This year I have the pleasure of helping to organize the Tour de Fleece team for my favorite local yarn shop, Maine Yarn & Fiber Supply! What is Tour de Fleece, you ask? It is an annual Tour de Fleece spin-along during the Tour de France. They spin, we spin. A real spinning-themed spin-along. This year the event begins Saturday July 4 and runs until Sunday July 26th, 2015. Over the past few weeks I’ve been preparing for the event- cleaning off my spindles for new projects, polishing the empty spindles and going through my fiber deciding what I want to spin next and what new fibers I might want to buy. My excitement mounted as I planned events for the yarn shop to bring spinners together during the tour, and as I planned my own projects. One evening when I showed my husband a freshly finished skein I was particularly proud of, he complimented me and then asked a very pointent question, “Do you ever use all this yarn you make? I’ve never seen it.” Why didn’t I use the yarn I worked so hard to make, I wondered. Was I worried I would ruin it, that I would chose a pattern that was unworthy of the yarn, or that I’d discover that the yarn didn’t hold up after all? What was I waiting for? 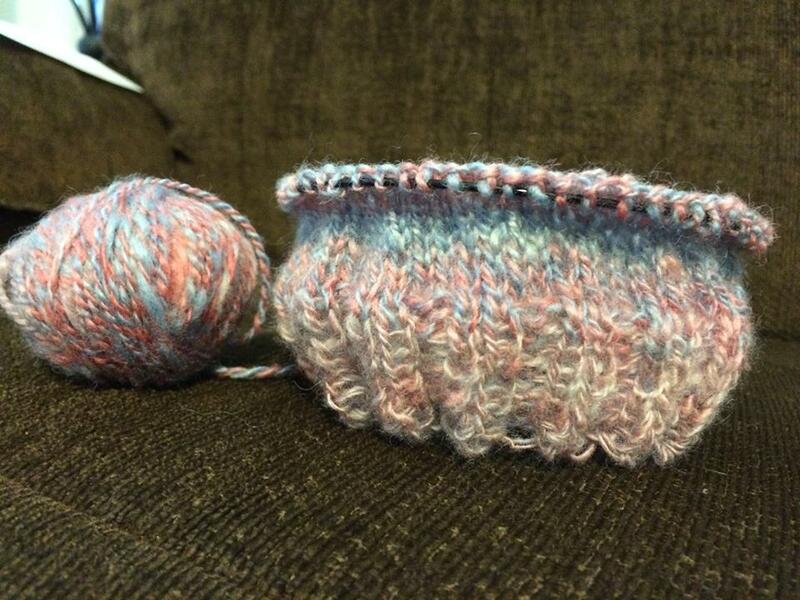 Well, I ran straight upstairs, grabbed a favorite skein and a needle and immediately cast on a new project- a baby hat that I thought I had enough yarn to compete. Every time I work on this hat I am reminded not to wait until everything is perfect and to let go and just do it, and ask myself what else I may be holding back on.